Only £13.99 for the set! 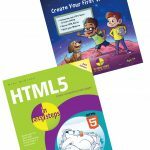 Fully illustrated, and with a captivating storyline, this book teaches children how to build their first website in a fun way, and in easy steps. 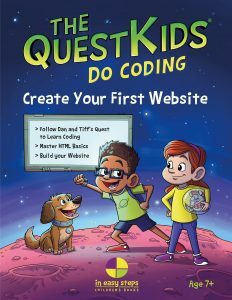 Join The QuestKids at Earth’s most famous space centre, and follow their quest to design a website to power a new planet. Find out more, and see sample pages – free! 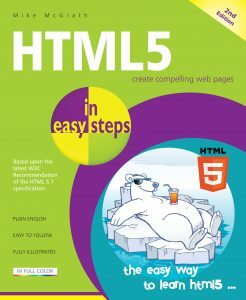 The easy way to learn HTML5, so that you can create compelling web pages in the latest browsers – all described in easy to follow steps. 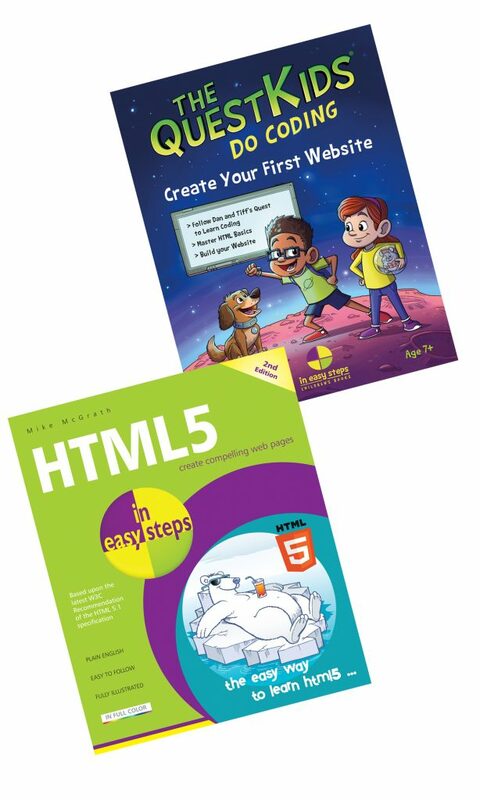 Covers the full W3C Recommendation of the HTML5.1 specification. Find out more, and get the first chapter – free!